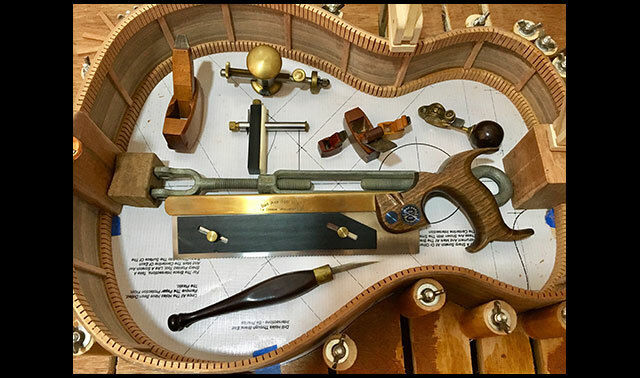 "The Bad Axe Luthiers Saw is fantastic! The dimensions are spot-on and enable me to Saw with power and precision whether I'm cutting braces, bridges or linings. 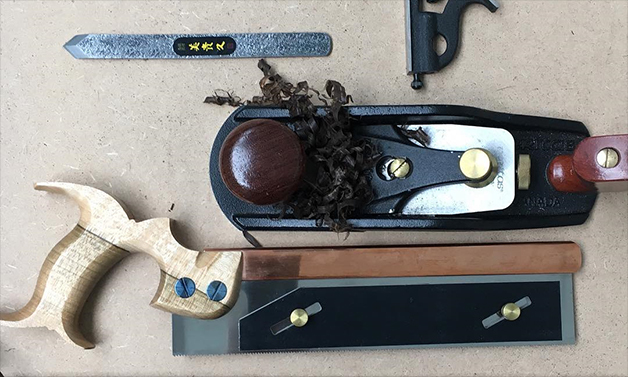 The size and depth of Saw plate and PPI as well as custom handle sizing gives the Saw a grace and sensitivity that is ideal for Luthiery. 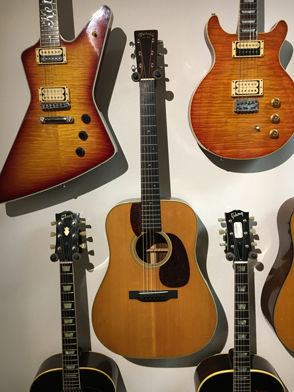 It is unsurpassed for manual fret slotting and Thanks to the famous Bad Axe Saw geometry and sharpness slices effortlessly through hardwoods. The depth stop facilitates a repeatable depth of cut, a great feature for slotting fingerboards, and other precise woodwork. 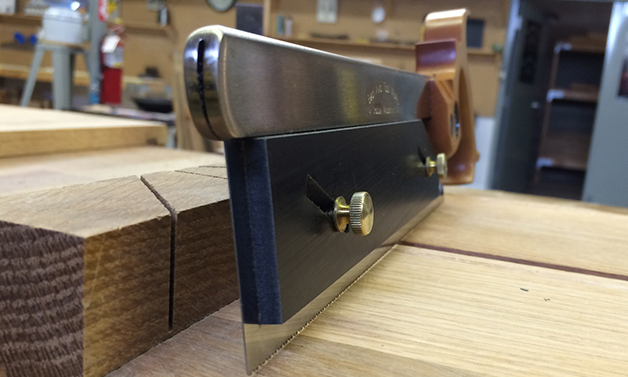 Whilst the slick low-friction material of the depth stop ensures that the saw cut is as smooth as ever. A beautiful Saw that is a delight to use and ridiculously useful. I love it! " 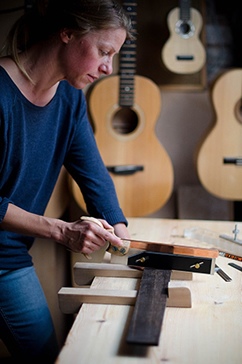 Luthier work: craft defined. 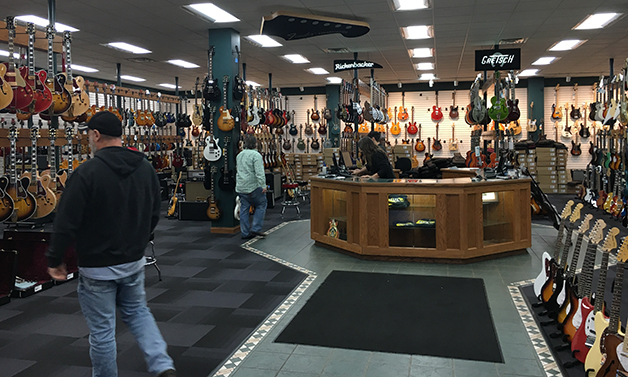 Just ask Carl and Phil, the luthier team at La Crosse's world-famous 'Dave's Guitar Shop, where every day they put conduct operational repair on guitars worth many thousands of dollars. 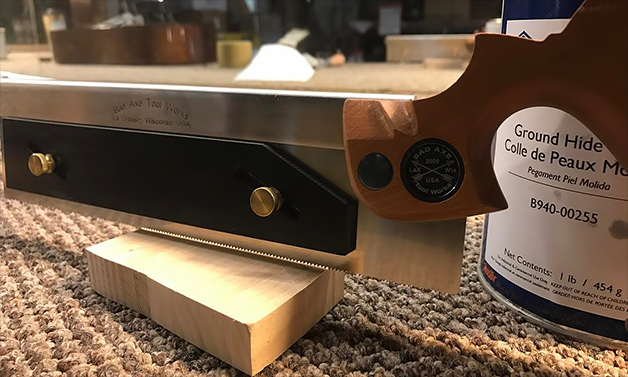 When it comes to quickly and efficiently fretting a guitar neck--as well has having a fine-toothed carcase saw optimized for luthier work in general--this is the kind of saw that will never stray very far from a luthier's workbench. Bad Axe has recently designed a fret saw to help Carl and Phil along the way, and we took it a step further by adding enough depth to the plate such that with the adjustable depth fence removed, it may be used as a great little carcase saw for any kind of work requiring finesse and dead-nuts precision. "A beautiful Saw that is a delight to use and ridiculously useful. I love it!" 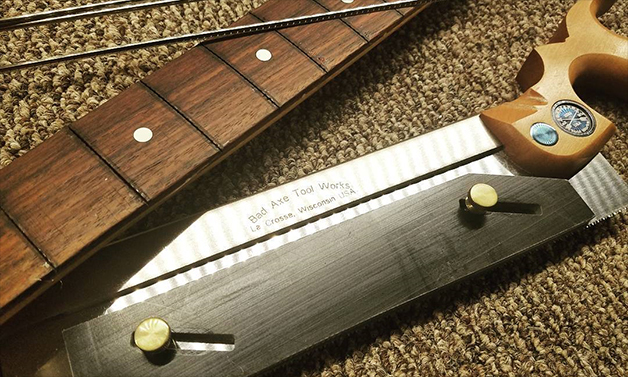 Bottom line up front: We designed an open-handled, thin (.015) plate 10" long saw with just enough plate below the back to accommodate a depth stop for making delicate fret-wire cuts on a guitar neck. This is also an outstanding carcase saw for thin stock requirements where finesse in cut is paramount. Precise, hammer-set toothline with a combined set that delivers a .022-.023 kerf, which promotes a compressive fret-wire fit. Ultra-High-Molecular-Weight (UHMW) Polyethylene Depth Stop with knurled thumbscrews. The high lubricity of this particular synthetic provides a friction-free depth stop for your work that won't mar your exotic woods. Traditional 1876 Wheeler-pattern open handle, available in standard quartersawn hickory, or optional cherry, walnut, & maple. Three sizes--small, regular and large--will fit virtually any hand. 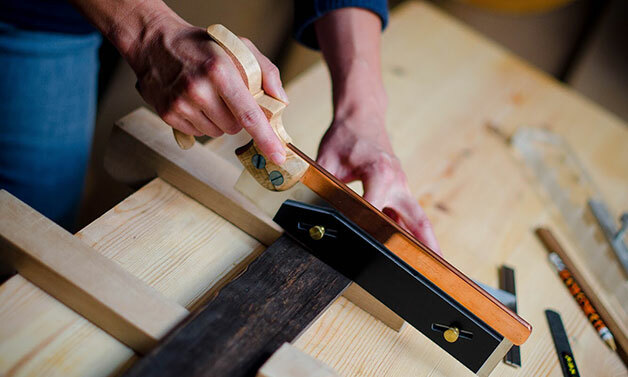 Read more about how we make and finish our handles. Traditional folded sawback finished in gunsmith-blued black-oxided carbon steel, or optional bright nickel-plated steel, copper-plated steel, or black nickel (while supplies last). Read more about this critical component for any backsaw, and why Bad Axe promotes the enduring traditional folded sawback over commonplace static-backed saws that disallow retensioning the toothline with heavy use. Handle Fasteners available in standard brass or optional black-oxided, niter-blued, bright nickel-plated, or copper-plated steel. Swedish spring steel .015 sawplate, hammer-set & sharpened at 16 ppi x-cut. 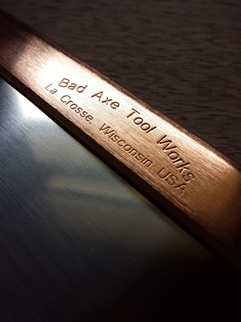 Read more about Bad Axe's hammer-setting technique and obsessive dedication to sharpening excellence here. "It's the sharpest, most efficient saw I've ever used. 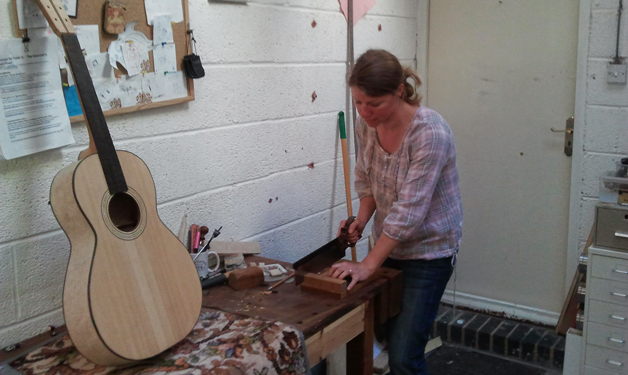 It's all that I've used for fret slots since I've had it, and frets are going in easier than ever." 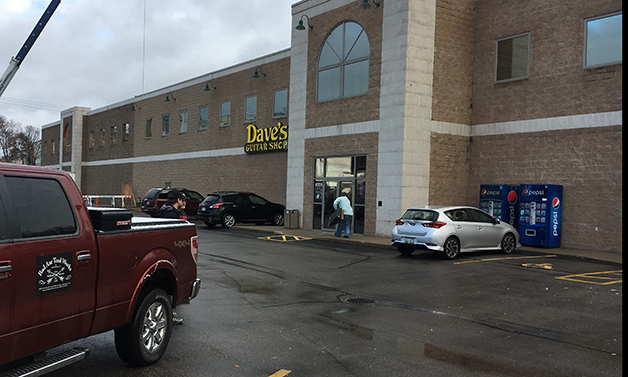 Watch the video we shot of Carl Meine and Phil at their luthier workshop deep in the heart of world-renowned Dave's Guitar Shop located in La Crosse Wisconsin. 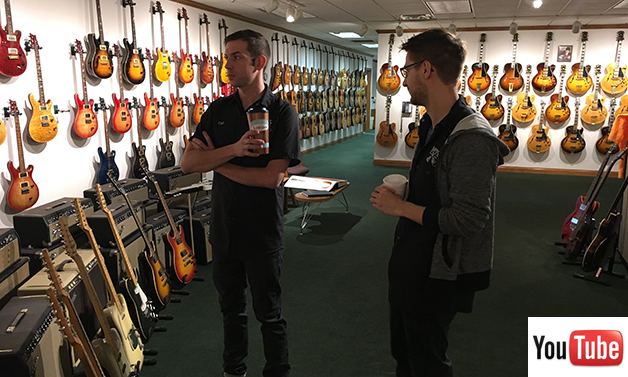 Carl explains the various processes he and Phil have used in the past to fret guitar necks, and how our final luthier saw prototype has now become their go-to tool of choice. Just click anywhere on the graphic below to watch the video.